What inspired you to write Keep Me Posted? I had been living in Singapore as a “trailing spouse” for a couple years when my little boys started going to school. I was planning to go back to work, but first I gave myself a bit of time to try something new. When I started writing creatively and decided to attempt a novel, the theme that came to the forefront and ended up driving the whole story was the struggle to maintain my most important relationships across oceans, and in my own home and local community while being constantly, if voluntarily, bombarded by social media. I knew that the quality of my relationships were more important than the quantity, but with Facebook and Twitter and Instagram providing little bursts of comfort and connection anytime I picked up my phone, it became an effort to focus my energies in a way that prioritised the people most important to me. Getting to work through these issues in a novel, without being tethered to my own reality, was a blast. Probably more than I could ever articulate. Why don’t we go with a practical lesson here: always, always back up your work! The one who is slightly drunk and / or of poor vision. What do you hope readers take from it? All I set out to do is entertain. It’s not my job to teach anyone anything – if a book makes you think through something in your life that needs attention, then wonderful. I’m happy to help. Do you think “expat fiction” forms a distinct genre? 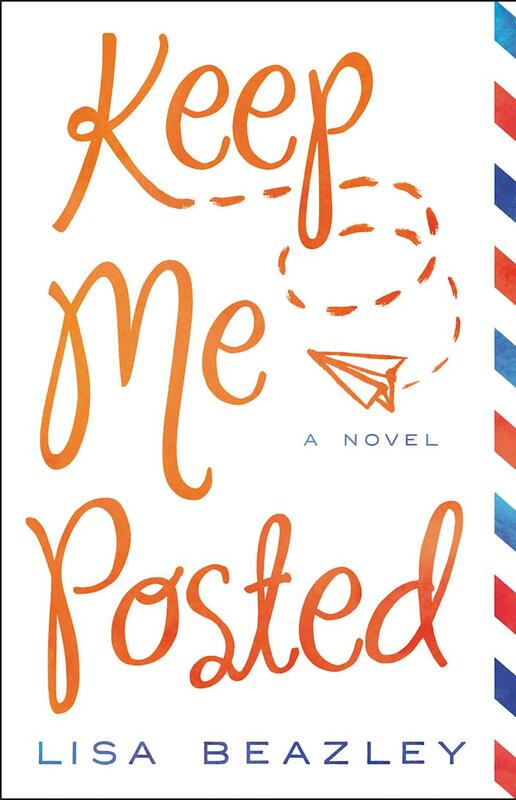 If so, do you think Keep Me Posted is expat fiction? Why, or why not? I don’t like to over genre-lise (Get it? Genre? Haha.). But I’m not sure Keep Me Posted would satisfy someone looking for expat fiction. I wrote it as an expat, yes, but the expat experience is only skimmed over. I chose not to delve deep into it because that’s not a story I felt ready to tell at the time I wrote it - I had been in Singapore less than 2 years when I started it. Was it a problem that editorial and other publishing staff were in the States, whilst you were in Singapore? I was 8 months pregnant when I got my agent, and had a new baby at home when I got the book deal. So I was awake at all hours to take phone calls in those early stages. Once the deal is made, just about everything can be done via email, so things went pretty smoothly despite being separated from the action by several time zones. Were you tempted to set more of the novel in Singapore? Why, or why not? This was always meant to be Cassie’s story. Cassie is the character with the most at stake - the one who grows and learns and changes. We do get to glimpse Singapore through Sid’s letters and through Cassie’s brief visit, undertaken after their letters become public, but it’s such a small segment of the country. A struggling new expat and a visitor at rock-bottom are hardly the most dependable sources! That said, I’d love to write a book properly set in Singapore one day. I love living here. I’ve learned about new cultures, travelled to places I never in my life dreamed I’d go, given my kids a better shot at being open-minded and empathic people, made close friends l love like family, and learned some life lessons from taxi uncles - I’m sure there’s a “wisdom of taxi uncles” book out there. If not, someone needs to make that happen! Then again, I’m a bit of an urban planning geek, and Singapore has truly nailed it in this regard. I marvel daily over the efficient public transit, the smooth traffic flow, the balance of lush greenery and the walkable density of several areas. It’s inspiring, for sure. What has the reaction been in Singapore, from Singaporeans, and from expats? I’ve received some wonderfully supportive emails and have met with a lot of enthusiastic readers, and that’s been gratifying. I did get one negative email from a Singaporean, which of course outweighed all of the positive emails by a thousand. Sid, the sister who is a new expat in Singapore, makes some provocative and thoughtlessly general remarks, as a woman is prone to do when she thinks she is having a private conversation with her sister. I do hope that people understand the difference between a character’s thoughts and an author’s feelings. I have tremendous love and admiration for Singapore and its people. It’s just that expressing that love and admiration wasn’t my goal when I wrote the book. I just wanted to tell a good story. I think Stephen King said something like: if you intend to be a writer, your days as a member of polite society are numbered. How have Americans back home reacted to the section set in Singapore? They haven’t commented on it. Is the next one a follow-up? One reader suggested I write a book from the point of Sid’s cheating spouse, so that could be interesting! I’d love to revisit Cassie and Sid one day, but there are no plans as of now. My next book doesn’t have a title yet, but it’s set in the American Midwest. It’s about a woman who is totally different from Cassie. Her name is Bo, a mother who has had a successful career and a strong marriage, but everything gets turned upside down when her second child goes away to college and she and her husband become empty nesters. She finds herself back in her old neighbourhood, a place she’s purposefully avoided for many years, facing up to her past and the person she’s become. It’s about creating your second act in a fearless and free way that’s impossible for most people when they are young. I’ve found it to be a challenge to write a character who is ahead of where I am in life, but it’s been so rewarding to figure her out.